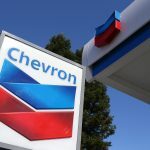 Chevron Corp’s fourth-quarter profit, reported on Friday, outstripped Wall Street estimates, supported by higher oil prices and production growth. 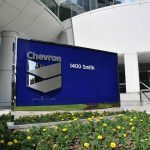 Chevron said that oil and gas production had increased 12.5% year-on-year during the past quarter, with net output rising to 3.08 million barrels per day. At the same time, prices paid for crude oil went up to $59 per barrel during the quarter from $57 per barrel in the year-ago period. Chevron shares closed higher for a third consecutive trading session in New York on Friday. It has also been the sharpest daily surge since December 26th. The stock went up 3.24% ($3.72) to $118.37, after touching an intraday high at $119.25, or a price level not seen since December 7th ($119.70). Shares of Chevron Corp have risen 8.81% so far in 2019 compared with a 7.97% gain for the benchmark index, S&P 500 (SPX). In 2018, Chevron’s stock went down 13.10%, thus, it underperformed the S&P 500, which registered a 6.24% loss. 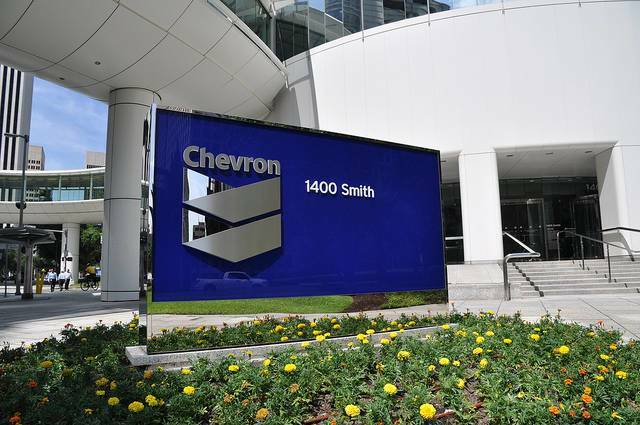 According to Michael Wirth, Chevron’s Chief Executive Officer, full-year 2019 oil-equivalent production is expected to expand between 4% and 7%, excluding asset sales. Chevron’s cash flow from operations was reported to have increased to $9.2 billion during the fourth quarter from $8 billion in the year-ago period as a result of higher production and cost-cutting efforts. 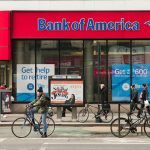 Meanwhile, the company’s net income was reported at $3.7 billion (or $1.95 per share) during the fourth quarter, up from $3.11 billion (or $1.64 per share) in the year-ago quarter. In comparison, analysts on average had expected earnings of $1.87 per share. Chevron’s profit from oil and gas exploration decreased to $3.29 billion during the latest quarter from $5.29 billion a year ago, when the company recorded a one-time benefit from the US tax code reform. Last but not least, profit from refining operations was reported to have shrunk to $256 million during the fourth quarter from $1.2 billion in the year-ago quarter. According to CNN Money, the 22 analysts, offering 12-month forecasts regarding Chevron Corp’s stock price, have a median target of $133.50, with a high estimate of $160.00 and a low estimate of $122.00. The median estimate represents a 12.78% upside compared to the closing price of $118.37 on February 1st. The same media also reported that 16 out of 25 surveyed investment analysts had rated Chevron Corp’s stock as “Buy”, while 6 – as “Hold”.